The Mira Chandelier features beautiful clear glass drops and an oil rubbed bronze finish. The glass drops are arranged in an overlapping to create an exuberant texture. 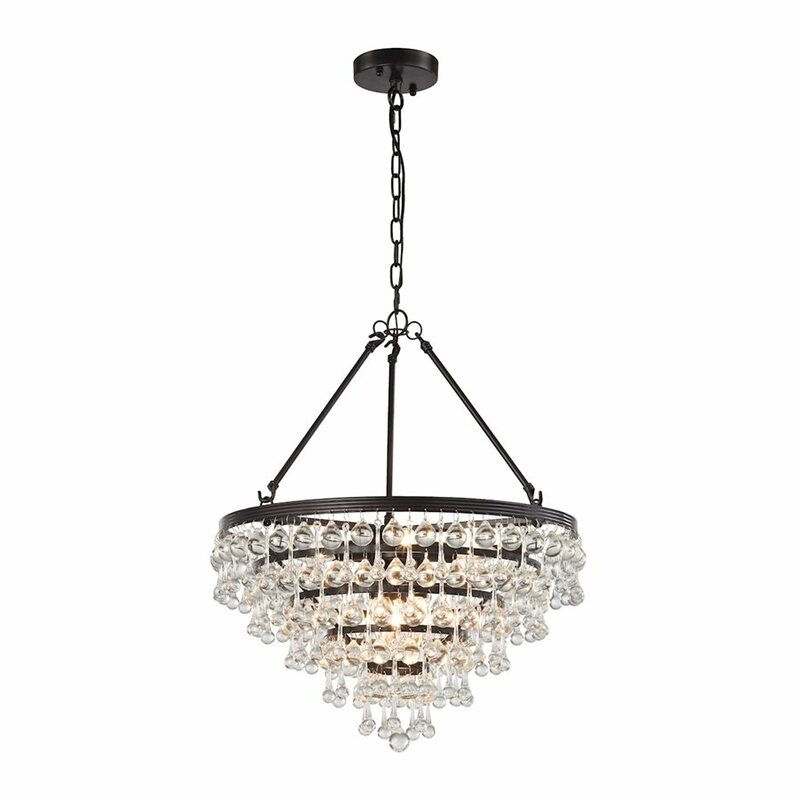 Includes replaceable LED bulbs.This elegant chandelier is perfect to dress up your dining or kitchen space. Uses 6 B11 60W bulbs or select the LED version which uses 4W LED bulbs, which are replaceable.